This post is sponsored by Dairy Pure Milk. All views expressed are that of our own. I really cannot believe November is coming to an end. It seems as if the fall season is passing by all too quickly and soon it will be winter. While I am decorated for Christmas, I really want the time to just slow down a bit so I can catch my breath and enjoy the season. 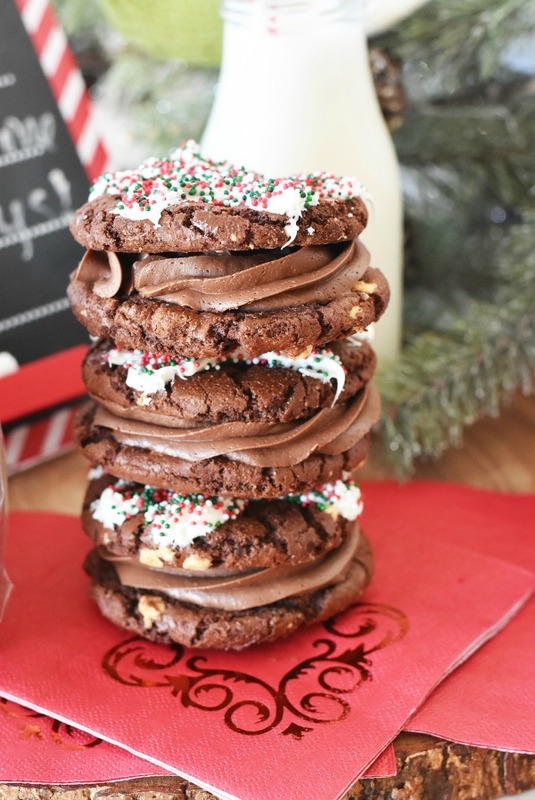 Since the holiday season is all about yummy baked goods I wanted to share this shortcut recipe for Chocolate Buttercream Cookies Sandwiches for Santa. Just because we all know that Santa needs those cookies & milk after getting all those gifts wrapped and under the tree. 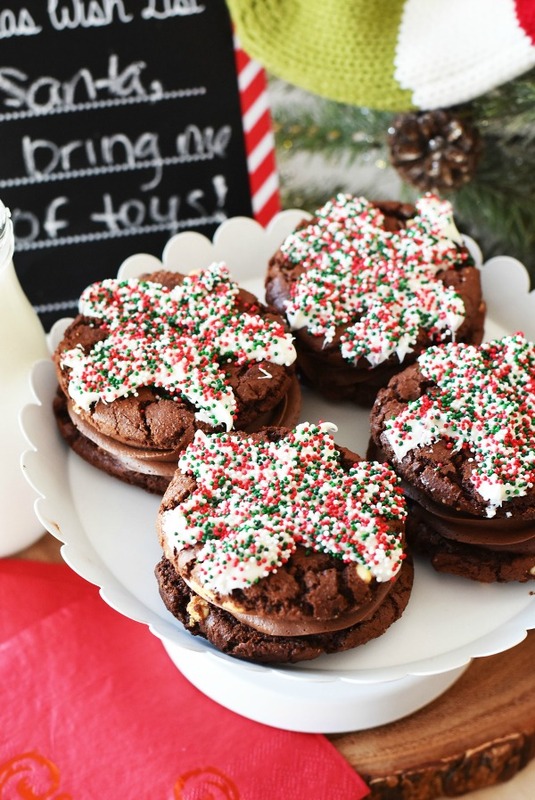 Have you ever left out cookies for Santa at your home? I know my kids will not go to bed on Christmas Eve unless there are some kind of cookies in a bowl with a glass of milk like DairyPure. They even put it in a super cute milk bottle with a candy cane straw and note to him. It is really cute and we always leave some extra cookies aside from our Christmas Eve festivities for dear old Santa. 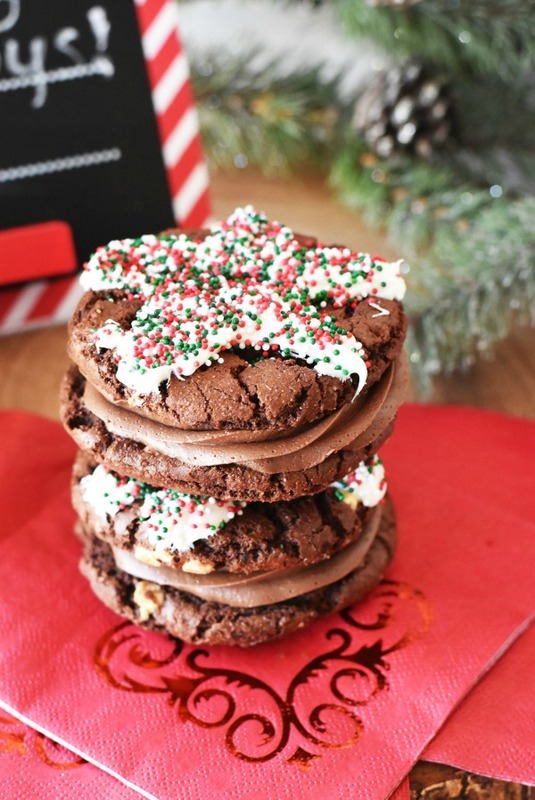 This year, we will be making these Shortcut Chocolate Buttercream Cookie Sandwiches. I love my homemade Chocolate Buttercream recipe so I figured it would go great sandwiched between two chocolate cookies. This recipe is a hack because you can use pre-made cookies and make a semi-homemade treat with a extra candy and frosting. I attempted to make snowflakes on these cookie, but they could also pass as stars, or maybe even blobs. Regardless, they taste yummy and are perfect with some DairyPure whole milk. 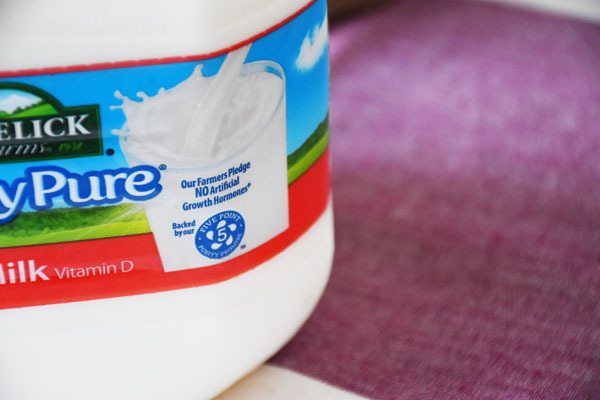 We love DairyPure in this house because it is the only milk backed by an exclusive Five-Point Purity Promise. DairyPure milk contains no artificial growth hormones*, is tested for antibiotics, is continually quality tested to ensure purity, only comes from cows fed a healthy diet and is cold shipped from your trusted dairy. DairyPure is available in the dairy case at grocery stores nationwide in whole, 2% reduced fat, 1% low fat and skim/fat free milks. 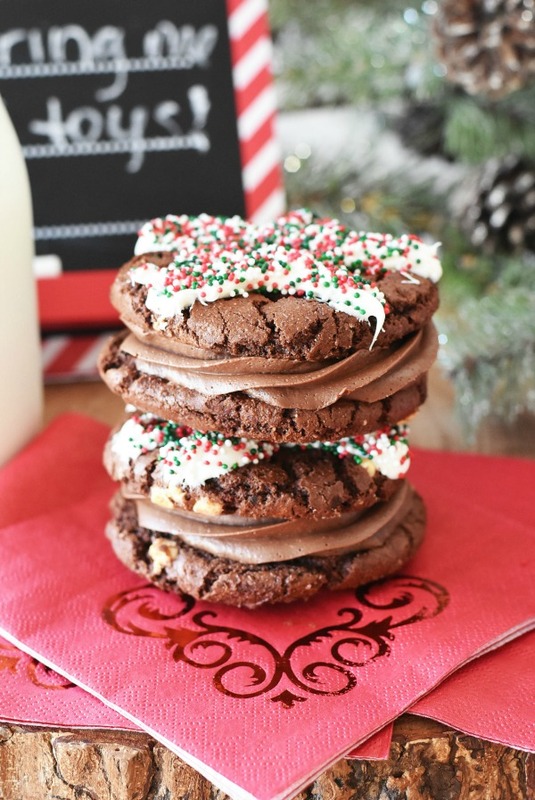 We use whole milk in this household so that is what Santa will be enjoying on Christmas Eve with our Shortcut Chocolate Buttercream Cookie Sandwiches. 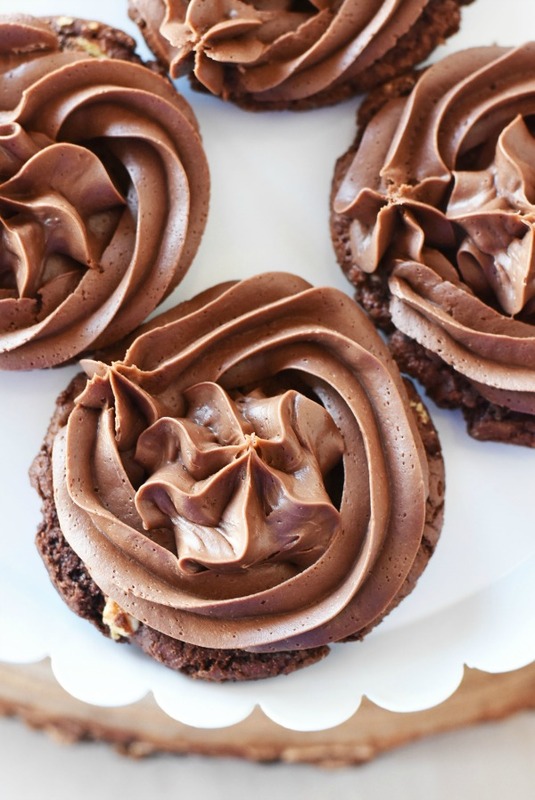 Want to make these Shortcut Chocolate Buttercream Cookie Sandwiches? Pre-made chocolate cookies *we used cookies from Dancing Deer Baking Co. 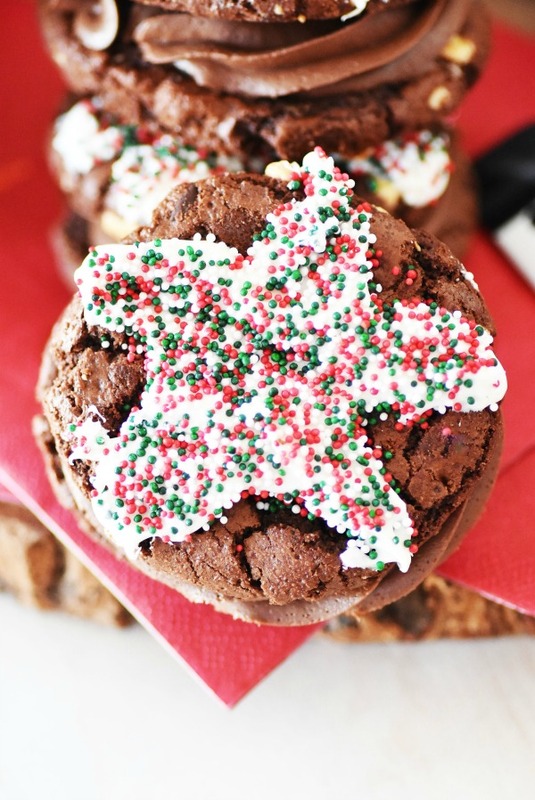 Melt your candy and create your snowflake or star design on your top cookies. Sprinkle with holiday sprinkles, and set aside. For frosting, add your room temperature butter to your mixer. Mix for 2 minutes until butter is soft, and whipped. Add your salt, cocoa, and slowly add your sugar. If you add it too fast your powder will blow everywhere. Slowly add your Dairy Pure Whole Milk into the mixture. Blend well until all ingredients are mixed for 2 minutes. Add your frosting to a piping bag and pipe in-between each sandwich cookie. Close cookies to form and sandwich, and enjoy! 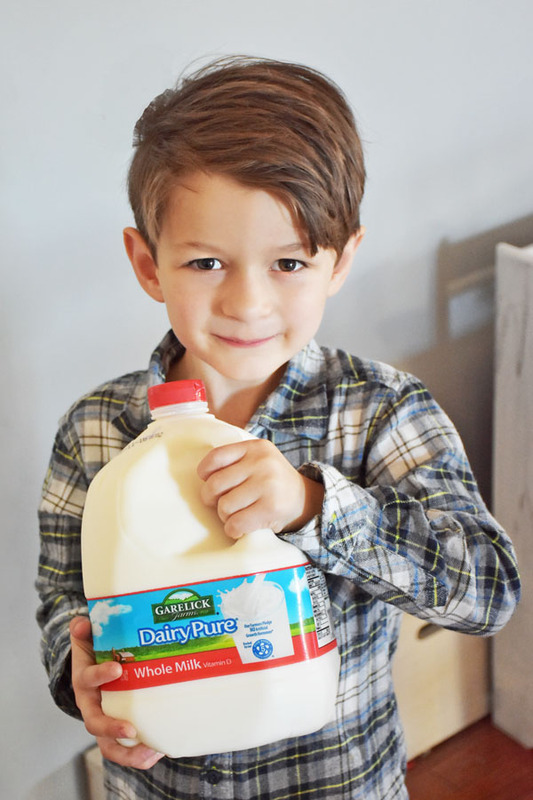 For recipes, local retailers, the full line of products and to learn more about DairyPure’s exclusive Five-Point Purity Promise, visit DairyPure, and find DairyPure and DairyPure. 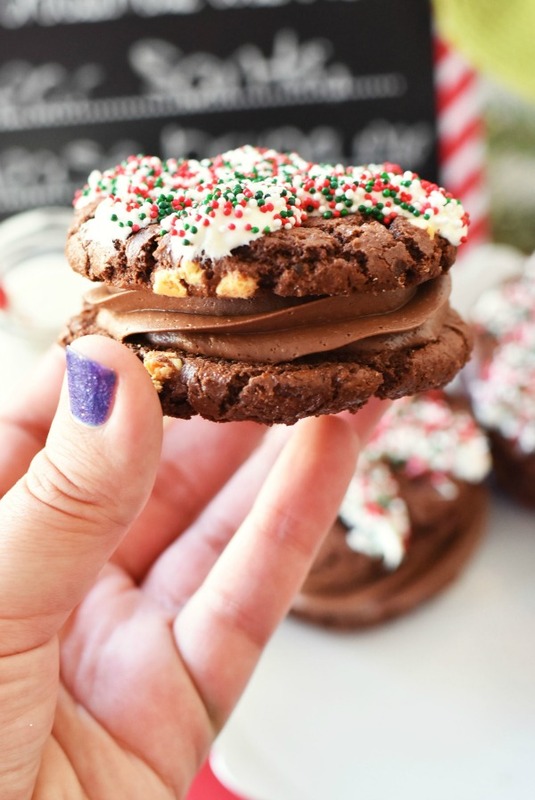 Will you be making your very own version of these Shortcut Chocolate Buttercream Cookie Sandwiches for Santa? Those look absolutely delicious! I love a cookie with a filling like this. I can’t wait to make these. Those look yummy. Can’t wait to try out the recipe. These cookies look amazing! They will be perfect for Santa with a glass of milk. These would be perfect cookies to make for the office. Thanks for sharing it – they look awesome! Those look wonderful! I need to make them ! These look amazing!!!! I know my kids would love them, and all the sprinkles look so festive!! These look absolutely divine! I love anything chocolate and these would be delicious right about now! Those look sooooo delicious! I love cookies with a filling like these ones. I can’t wait to try your recipe! Oh my goodness! These look so absolutely delicious! Buttercream makes everything taste magnificent! Thanks for sharing the recipe. I’m sure Santa will enjoy these cookies with a tall glass of milk. We’re going to have to try these this year. These look so delicious and easy to make. I will have to get the ingredients I need to make these this week. 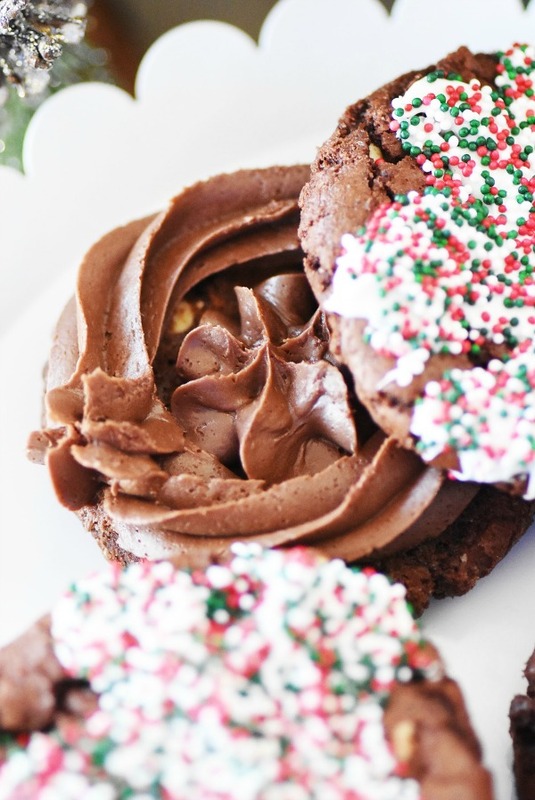 These cookies will be perfect for our Holiday party. I will have to make some this weekend to try. I am always looking for easy recipes to try. These look delicious. I am sure they will be a big hit. I love that you have turned store-bought cookies into something delicious and homemade. In fact I’m getting hungry and want to try making your recipe right now it looks so good! These are fantastic! I can’t wait to make a double batch for holiday baking! These cookies look absolutely delicious! And I love how festive they are. Wow these are decadent! They look nothing like a “shortcut”! Wow, those cookies look so delicious. I would like to try them open face style also. These look seriously delectable! The filling is like the icing on the cookie I dream about! Can’t wait to make these! Wow! This looks so delicious! I love shortbread cookies! Great recipe! Best cookie recipe ever! There are two things I love more than anything – cookies and frosting. You win the internet for the day!